For quite some time I have been engaged in examining the broader skills set that students need to be developing as outcomes from our K-12 education. What makes a student college ready, career ready, and community ready? I have recently reengaged in this exploration as I work with some high schools examining the kind of freshman orientation course or advisory that might best lay the groundwork for high school and beyond success. Growth mindset – the belief that working hard and persisting will help you improve at anything and that abilities are not fixed at birth. Self-efficacy – a sense of confidence that you are capable of achieving what you set out to do. Self-management – productive habits such as organization and delaying gratification. Social awareness – the ability to work in a diverse group, to recognize sources of support and to have empathy for others. Another link here took me to Skills for Success: Supporting and Assessing Key Habits, Mindsets, and Skills in PreK-12 by Melissa Tooley and Laura Bornfreund. I ponder the degree to which it’s not just training/preparing educators to cause students to internalize these skills but the degree to which we must focus on educators continued development of their own skills for success. Can we truly expect educators to model and teach mindsets, traits and habits that are missing from their own day to day choices and options? Should we be building professional development, reflection and coaching around these skills for our teachers and administrators? *I met five middle school teachers who are a content department for their 6th -7th -8th grade school. It’s December and they are in a district-wide meeting with me. Seated as a group and working with questions I have presented, they share that this is the first time they have sat as a group and discussed teaching and learning. Three of the five are in their first year of teaching. My first mental response to myself is, “Where is school leadership?” How can this type of meeting and discussion not be built into the design of a school’s schedule or program? Reflecting on skills for success, I’m now wondering, “Would new teachers with self-efficacy and self-management have sought out the input of their new teacher colleagues and experienced department teachers?” Would experienced teachers with social skills and empathy have arranged these meetings knowing the struggles of being a new teacher? 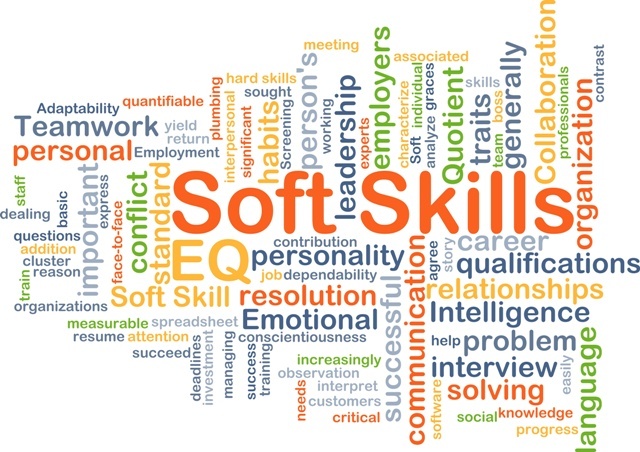 Would a principal’s soft skills not point to the need to “bring this group together”? *In several PLC sessions with secondary teachers the comment has been made that students frequently are not doing out of class assignments or are making insufficient investments in learning. The comment usually gains recognition and acceptance from others at the table and the conversation soon moves to acceptance of “that is how it is” (learning will be limited) or ways to work around it (a way to proceed in class without the outside work completed). I am often taken aback by the lack of a conversation around changing the current student attitude and practice (lack of skills for success). Would teachers’ grit, curiosity, and optimism not lead to the development of a plan for change? Would the PLC’s collective persistence and self-discipline not lead to a long term plan for change because it’s important to the students, even if we need a short term “work around”? As school leaders we need to be continually reflecting on our skills for success. Are we modelling the presence and development of our skills for success? Are we creating the feedback and reflection systems for educators in our schools to sharpen their skills for success? 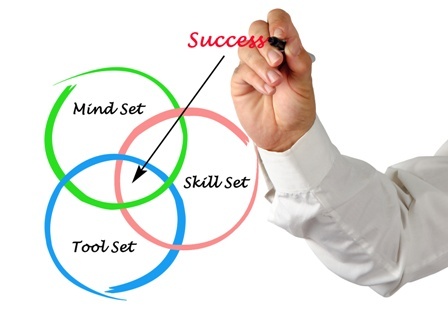 Maybe this is a great time to start the new year with a skills for success focus! Thank you for fostering discussion concerning these foundational skills required for success in life. As my area of academic research and expertise, I have found fabulous resources at CASEL http://www.casel.org/ (Collaborative for Academic, Social,and Emotional Learning). I encourage educators at all levels to investigate the many resources available to assist in both their personal development, as well as with how to incorporate SEL in the classroom.